All Civil War battles in Missouri. They are listed in the order in which they occurred. Description: Brig. Gen. Nathaniel Lyon had chased Governor Claiborne Jackson and approximately 4,000 State Militia from the State Capital at Jefferson City and from Boonville, and pursued them. Col. Franz Sigel led another force of about 1,000 into southwest Missouri in search of the governor and his loyal troops. Upon learning that Sigel had encamped at Carthage, on the night of July 4, Jackson took command of the troops with him and formulated a plan to attack the much smaller Union force. The next morning, Jackson closed up to Sigel, established a battle line on a ridge ten miles north of Carthage, and induced Sigel to attack him. Opening with artillery fire, Sigel closed to the attack. Seeing a large Confederate force actually unarmed recruits moving into the woods on his left, he feared that they would turn his flank. He withdrew. The Confederates pursued, but Sigel conducted a successful rearguard action. By evening, Sigel was inside Carthage and under cover of darkness; he retreated to Sarcoxie. The battle had little meaning, but the pro-Southern elements in Missouri, anxious for any good news, championed their first victory. Description: General D.R. Atchison left Lexington on September 15, 1861, and proceeded to Liberty where he met the Missouri State Guard. On the night of September 16-17, his force crossed the Missouri River to the south side and prepared for a fight with Union troops reported to be in the area. At the same time, Union Lt. Col. John Scott led a force of about 600 men from Cameron, on the 15th, towards Liberty. He left his camp in Centreville, at 2:00 am on the 17th. He arrived in Liberty, sent scouts out to find the enemy, and, about 11:00 am, skirmishing began. At noon, Scott marched in the direction of the firing, approached Blue Mills Landing and, at 3:00 am, struck the Confederate pickets. The Union force began to fall back, though, and the Rebels pursued for some distance. The fight lasted for an hour. The Confederates were consolidating influence in northwestern Missouri. Description: Brig. Gen. Nathaniel Lyon’s Army of the West was camped at Springfield, Missouri, with Confederate troops under the commands of Brig. Gen. Ben McCulloch approaching. On August 9, both sides formulated plans to attack the other. About 5:00 am on the 10th, Lyon, in two columns commanded by himself and Col. Franz Sigel, attacked the Confederates on Wilson’s Creek about 12 miles southwest of Springfield. Rebel cavalry received the first blow and fell back away from Bloody Hill. Confederate forces soon rushed up and stabilized their positions. The Confederates attacked the Union forces three times that day but failed to break through the Union line. Lyon was killed during the battle and Maj. Samuel D. Sturgis replaced him. Meanwhile, the Confederates had routed Sigel’s column, south of Skegg’s Branch. Following the third Confederate attack, which ended at 11:00 am, the Confederates withdrew. Sturgis realized, however, that his men were exhausted and his ammunition was low, so he ordered a retreat to Springfield. The Confederates were too disorganized and ill-equipped to pursue. This Confederate victory buoyed southern sympathizers in Missouri and served as a springboard for a bold thrust north that carried Price and his Missouri State Guard as far as Lexington. In late October, a rump convention, convened by Governor Claiborne Fox Jackson, met in Neosho and passed an ordinance of secession. Wilson’s Creek, the most significant 1861 battle in Missouri, gave the Confederates control of southwestern Missouri. Description: Following the victory at Wilson’s Creek, the Confederate Missouri State Guard, having consolidated forces in the northern and central part of the state, marched, under the command of Maj. Gen. Sterling Price, on Lexington. Col. James A. Mulligan commanded the entrenched Union garrison of about 3,500 men. Price’s men first encountered Union skirmishers on September 13 south of town and pushed them back into the fortifications. Price, having bottled the Union troops up in Lexington, decided to await his ammunition wagons, other supplies, and reinforcements before assaulting the fortifications. By the 18th, Price was ready and ordered an assault. The Missouri State Guard moved forward amidst heavy Union artillery fire and pushed the enemy back into their inner works. On the 19th, the Rebels consolidated their positions, kept the Yankees under heavy artillery fire and prepared for the final attack. Early on the morning of the 20th, Price’s men advanced behind mobile breastworks, made of hemp, close enough to take the Union works at the Anderson House in a final rush. Mulligan requested surrender terms after noon, and by 2:00 pm his men had vacated their works and stacked their arms. This Unionist stronghold had fallen, further bolstering southern sentiment and consolidating Confederate control in the Missouri Valley west of Arrow Rock. Description: Having accomplished little since taking command of the Western Department, with headquarters in St. Louis, Missouri, Maj. Gen. John C. Frémont formulated a plan to clear Maj. Gen. Sterling Price’s Rebels from the state and then, if possible, carry the war into Arkansas and Louisiana. Leaving St. Louis on October 7, 1861, Frémont’s combined force eventually numbered more than 20,000. His accompanying cavalry force, numbering 5,000 men and other mounted troops, included Maj. Frank J. White’s Prairie Scouts and Frémont’s Body Guards under Maj. Charles Zagonyi. Maj. White became ill and turned his command over to Zagonyi. These two units operated in front of Frémont’s army to gather intelligence. As Frémont neared Springfield, the local state guard commander, Col. Julian Frazier, sent out requests to nearby localities for additional troops. Frémont camped on the Pomme de Terre River, about 50 miles from Springfield. Zagonyi’s column, though, continued on to Springfield, and Frazier’s force of 1,000 to 1,500 prepared to meet it. Frazier set up an ambush along the road that Zagonyi travelled, but the Union force charged the Rebels, sending them fleeing. Zagonyi’s men continued into town, hailed Federal sympathizers and released Union prisoners. Leery of a Confederate counterattack, Zagonyi departed Springfield before night, but Frémont’s army returned, in force, a few days later and set up camp in the town. In mid-November, after Frémont was sacked and replaced by Maj. Gen. Hunter, the Federals evacuated Springfield and withdrew to Sedalia and Rolla. Federal troops reoccupied Springfield in early 1862 and it was a Union stronghold from then on. This engagement at Springfield was the only Union victory in southwestern Missouri in 1861. Description: With the surrender of Forts Henry and Donelson, Tennessee, and the evacuation of Columbus, Kentucky, Gen. P.G.T. Beauregard, commander of the Confederate Army of the Mississippi, chose Island No. 10, about 60 river miles below Columbus, to be the strongpoint for defending the Mississippi River. Nearby was New Madrid, one of the weak points. Brig. Gen. John Pope, commander of the Union Army of the Mississippi, set out from Commerce, Missouri, to attack New Madrid, on February 28. The force marched overland through swamps, lugging supplies and artillery, reached the New Madrid outskirts on March 3, and laid siege to the city. Brig. Gen. John P. McCown, the garrison commander, defended both New Madrid and Island No. 10 from the fortifications. He launched a sortie, under Brig. Gen. M. Jeff Thompson, Missouri State Guard, against the besiegers and brought up heavy artillery to bombard them. On the 13th, the Confederates bombarded the Yankees to no avail. Since it did not appear possible to defend New Madrid, the Confederate gunboats and troops evacuated to Island No. 10 and Tiptonville. On the 14th, Pope’s army discovered that New Madrid was deserted and moved in to occupy it. A U.S. Navy flotilla, under the command of Flag-Officer Andrew H. Foote, arrived March 15 upstream from Island No. 10. The ironclad Carondelet on the night of April 4 passed the Island No. 10 batteries and anchored off New Madrid. Pittsburgh followed on the night of April 6. The ironclads helped to overawe the Confederate batteries and guns, enabling Pope’s men to cross the river and block the Confederate escape route. Brig. Gen. William W. Mackall, who replaced McCown, surrendered Island No. 10 on April 8. The Mississippi was now open down to Fort Pillow, Tennessee. 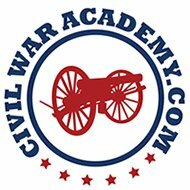 Description: Following the Battle of Pea Ridge, in March 1862, most Confederate and Union troops left northwestern Arkansas and southwestern Missouri. By late summer, Confederates returned to the area, which caused much apprehension in nearby Federally-occupied Springfield, Missouri, and Fort Scott, Kansas. Confederate Col. Douglas Cooper reached the area on the 27th and assigned two of his units to Newtonia where there was a mill for making breadstuffs. In mid-September, two brigades of Brig. Gen. James G. Blunt’s Union Army of Kansas left Fort Scott for Southwest Missouri. On the 29th, Union scouts approached Newtonia but were chased away. Other Union troops appeared in nearby Granby where there were lead mines, and Cooper sent some reinforcements there. The next morning, Union troops appeared before Newtonia and fighting ensued by 7:00 am. The Federals began driving the enemy, but Confederate reinforcements arrived, swelling the numbers. The Federals gave way and retreated in haste. As they did so, some of their reinforcements appeared and helped to stem their retreat. The Union forces then renewed the attack, threatening the enemy right flank. But newly arrived Confederates stopped that attack and eventually forced the Federals to retire again. Pursuit of the Federals continued after dark. Union gunners posted artillery in the roadway to halt the pursuit. As Confederate gunners observed the Union artillery fire for location, they fired back, creating panic. The Union retreat turned into a rout as some ran all the way to Sarcoxie, more than ten miles away. Although the Confederates won the battle, they were unable to maintain themselves in the area given the great numbers of Union troops. Most Confederates retreated into northwest Arkansas. The 1862 Confederate victories in southwestern Missouri at Newtonia and Clark’s Mill were the South’s apogee in the area; afterwards, the only Confederates in the area belonged to raiding columns. Description: Brig. Gen. John S. Marmaduke’s expedition into Missouri reached Ozark, where it destroyed the Union post, and then approached Springfield on the morning of January 8, 1863. Springfield was an important Federal communications center and supply depot so the Rebels wished to destroy it. The Union army had constructed fortifications to defend the town. Their ranks, however, were depleted because Francis J. Herron’s two divisions had not yet returned from their victory at Prairie Grove on December 7. After receiving a report on January 7 of the Rebels approach, Brig. Gen. Egbert B. Brown set about preparing for the attack and rounding up additional troops. Around 10:00 am, the Confederates advanced in battle line to the attack. The day included desperate fighting with attacks and counterattacks until after dark, but the Federal troops held and the Rebels withdrew during the night. Brown had been wounded during the day. The Confederates appeared in force the next morning but retired without attacking. The Federal depot was successfully defended, and Union strength in the area continued. Description: John S. Marmaduke led a Confederate raid into Missouri in early January 1863. This movement was two-pronged. Col. Joseph C. Porter led one column, comprising his Missouri Cavalry Brigade, out of Pocahontas, Arkansas, to assault Union posts around Hartville, Missouri. When he neared Hartville, on January 9, he sent a detachment forward to reconnoiter. It succeeded in capturing the small garrison and occupying the town. The same day, Porter moved on toward Marshfield. On the 10th, some of Porter’s men raided other Union installations in the area before catching up with Marmaduke’s column east of Marshfield. Marmaduke had received reports of Union troops approaching to surround him and prepared for a confrontation. Col. Samuel Merrill, commander of the approaching Union column, arrived in Hartville, discovered that the garrison had already surrendered and set out after the Confederates. A few minutes later, fighting began. Marmaduke feared being cut off from his retreat route back to Arkansas so he pushed Merrill’s force back to Hartville, where it established a defense line. Here, a four-hour battle ensued in which the Confederates suffered many casualties but compelled the Yankees to retreat. Although they won the battle, the Confederates were forced to abandon the raid and return to friendly territory. Description: Brig. Gen. John S. Marmaduke sought to strike Brig. Gen. John McNeil, with his combined force of about 2,000 men, at Bloomfield, Missouri. McNeil retreated and Marmaduke followed. Marmaduke received notification, on April 25, that McNeil was near Cape Girardeau. He sent troops to destroy or capture McNeil’s force, but then he learned that the Federals had placed themselves in the fortifications. Marmaduke ordered one of his brigades to make a demonstration to ascertain the Federals strength. Col. John S. Shelby’s brigade made the demonstration which escalated into an attack. Those Union forces not already in fortifications retreated into them. Realizing the Federals strength, Marmaduke withdrew his division to Jackson. After finding the force he had been chasing, Marmaduke was repulsed. Meant to relieve pressure on other Confederate troops and to disrupt Union operations, Marmaduke’s expedition did little to fulfill either objective. Description: While Maj. Gen. Sterling Price led his men westward across Missouri, he decided to send a detachment to Glasgow toliberate weapons and supplies in an arms storehouse, purported to be there. This combined mounted infantry, cavalry, and artillery force laid siege to the town and the fortifications on Hereford Hill. Before dawn on October 15, Confederate artillery opened on the town and Rebels advanced on Glasgow by various routes, forcing the Yankees to fall back. The Union forces retreated out of town and up the hill toward the fortifications on Hereford Hill. There they formed a defensive line in this area, but the Confederates continued to advance. Convinced that he could not defend against another Confederate attack, Col. Chester Harding surrendered around 1:30 pm. Although Harding destroyed some Federal stores, Price’s men found rifle-muskets, overcoats, and horses. The Confederates remained in town for three days before rejoining the main column with new supplies and weapons and marching on towards Kansas City. The victory and capture of supplies and weapons were a boost to Price’s army’s morale. Description: Price’s march along the Missouri River was slow, providing the Yankees a chance to concentrate. Maj. Gen. William S. Rosecrans, commanding the Department of the Missouri, proposed a pincer movement to trap Price and his army, but he was unable to communicate with Maj. Gen. Samuel R. Curtis, commander of the Department of Kansas, to formalize the plan. Curtis was having problems because many of his troops were Kansas militia and they refused to enter Missouri, but a force of about 2,000 men under the command of Maj. Gen. James G. Blunt did set out for Lexington. He met the Confederate troops at Lexington on the 19th, slowed their progress, but was defeated and retreated. On the 20th, Blunt’s troops arrived on the Little Blue River, eight miles east of Independence. The Union force prepared to engage the Confederates again in a strong defensive position on the west bank. Curtis, however, ordered Blunt into Independence while leaving a small force, under Col. Thomas Moonlight, on the Little Blue. The next day, Curtis ordered Blunt to take all of the volunteers and return to the Little Blue. As he neared the stream, he discovered that Moonlight’s small force had burned the bridge as ordered, engaged the enemy, and retreated away from the strong defensive position occupied the day before, crossing the river. Blunt entered the fray and attempted to drive the enemy back beyond the defensive position that he wished to reoccupy. The Yankees forced the Confederates to fall back, at first, but their numerical superiority took its toll in the five-hour battle. The Federals retreated to Independence and went into camp there after dark. Once again, the Confederates had been slowed and more Union reinforcements were arriving. Description: Maj. Gen. Sterling Price’s Army of Missouri was headed west towards Kansas City and Fort Leavenworth. Maj. Gen. Samuel R. Curtis’s Army of the Border, in and around Westport, was blocking the Confederates way west and Maj. Gen. Alfred Pleasonton’s provisional cavalry division was pressing Price’s army’s rear. Price had nearly 500 wagons with him and required a good ford over the Big Blue River to facilitate the passage of his supplies. Byram’s Ford was the best ford in the area and became a strategic point during the fighting around Westport. On October 22, Maj. Gen. James G. Blunt’s division held a defensive position on the Big Blue River’s west bank. Around 10:00 am on the 22nd, part of Brig. Gen. Joseph O. Shelby’s Confederate division conducted a frontal attack on Blunt’s men. This attack was a ruse because the rest of Shelby’s men flanked Blunt’s hasty defenses, forcing the Federals to retire to Westport. Price’s wagon train and about 5,000 head of cattle then crossed the Big Blue River at Byram’s Ford and headed southward toward Little Santa Fe and safety. Pleasonton’s cavalry was hot on the tail of Price’s army. Brig. Gen. John S. Marmaduke’s Rebel division held the west bank of the Big Blue at Byram’s Ford to prevent Pleasonton from attacking Price’s rear. Pleasonton assaulted Marmaduke at Byram’s Ford, around 8:00 am, on the 23rd. Three hours later, Marmaduke’s men had enough and fell back toward Westport. With Pleasonton across the river, he was now an additional threat to Price who was fighting Curtis’s Army of the Border at Westport. Price had to retreat south.